What is Manganese? How is it Used? Adapted from USGS Fact Sheet 2014-3087, August 2014, by William F. Cannon. Manganese: Manganese has an atomic number of 25 and a chemical symbol of Mn. Manganese is a silver metallic element with an atomic number of 25 and a chemical symbol of Mn. It is not found as an element in nature. It occurs in many minerals such as manganite, purpurite, rhodonite, rhodochrosite, and pyrolusite. 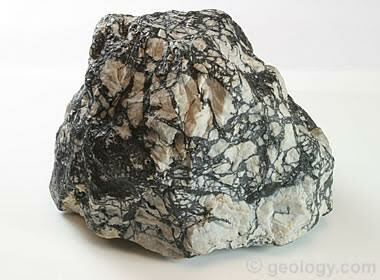 It is also found in many mineraloids such as psilomelane and wad. What is Steel Made From? Many people would correctly respond that steel is made of iron. Far fewer know that it is also made of manganese. Although the amount of manganese used to make a ton of steel is small, it is just as essential as iron to produce this fundamental building block of modern societies. Put in simplest terms — you can’t make steel without manganese. Domestic consumption of manganese is about 500,000 metric tons each year, predominantly by the steel industry. The United States is totally reliant on imports for this amount of manganese. Manganese constitutes roughly 0.1 percent of the Earth’s crust, making it the 12th most abundant element. Its early use was mainly in pigments and oxidants in chemical processes. The significance of manganese to human societies exploded with the development of modern steelmaking technology in the 1860s. Manganese is essential and irreplaceable in steelmaking, and its global mining industry is dominated by just a few nations. It is therefore considered to be one of the most critical mineral commodities for the United States. As much as 90 percent of manganese consumption, both in the United States and globally, is accounted for by the steel industry. Manganese removes oxygen and sulfur when iron ore (an iron and oxygen compound) is converted into iron. It also is an essential alloy that helps convert iron into steel. As an alloy, it decreases the brittleness of steel and imparts strength. The amount of manganese used per ton of steel is rather small, ranging from 6 to 9 kilograms. About 30 percent of that is used during refinement of iron ore, and the remaining 70 percent is used as an alloy in the final steel product. Manganese Can Color Glass: Ancient Egyptians and Romans used pyrolusite, a mineral of manganese dioxide, to control the color of glass. 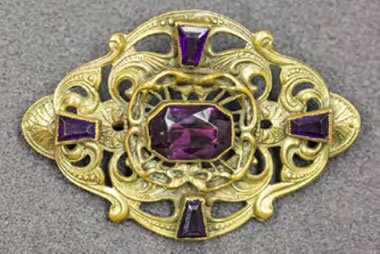 Small additions decolorized glass by removing the greenish yellow discoloration caused by iron impurities, whereas larger additions colored the glass pink, purple, or black. 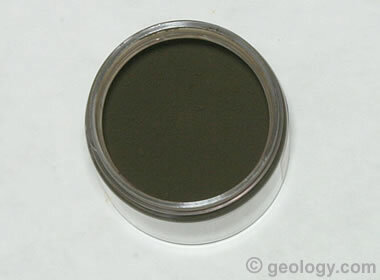 Manganese dioxide is still used today as a colorant. Photo by Scott Jackson, United States Geological Survey. Manganese is used also as an alloy with metals such as aluminum and copper. Important nonmetallurgical uses include battery cathodes, soft ferrites used in electronics, micronutrients in fertilizers, micronutrients in animal feed, water treatment chemicals, colorant for automobile undercoating, bricks, frits, glass, textiles, and tiles. The product “manganese violet” is used for the coloration of plastics, powder coatings, artist glazes, and cosmetics. Manganese in Gemstones: A number of gemstones contain significant amounts of manganese and often derive their color from the element. 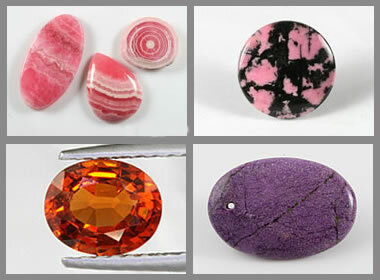 Clockwise from top left: rhodochrosite (manganese carbonate), rhodonite (manganese oxide), purpurite (manganese phosphate), spessartine (manganese aluminum garnet). Manganese Pigment: A view looking down into a jar of pyrolusite pigment. Powdered pyrolusite can be mixed with oil or a variety of other vehicles for use as a permanent black pigment. Desert Varnish: Black "desert varnish" is a thin coating of manganese oxide that covers the exposed faces of some rocks in arid areas. It is believed that manganese-concentrating microbes facilitate its formation. The photo above shows petroglyphs produced when Native Americans carefully scraped through the desert varnish to produce their artistic symbols. This outcrop is called "Newspaper Rock" and is located in Newspaper Rock State Park near Monticello, Utah. Image copyright iStockphoto / Geir-Olav Lyngfjell. Where Does Manganese Come From? Elemental manganese readily combines with oxygen, carbon, and silicon to form a long list of manganese minerals. 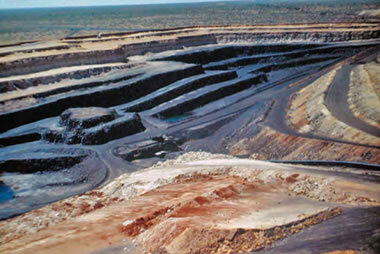 Manganese ores generally contain 25 to 45 percent manganese, mostly in oxide (or hydroxide) and carbonate minerals. Manganese ores are widespread, but most of the world’s supply is from a small number of manganese mining districts. Most manganese ores are from extensive layers of manganese-rich sedimentary rocks that formed in ancient oceans under specialized conditions. These occurred when changes in the oxidation state of ocean water first caused high concentrations of dissolved manganese and later precipitated various manganese minerals that became concentrated on the seabed. These layers are now found within the bedrock of continents. Nodular Manganese Ore: Nodular psilomelane found in residual clays formed from the weathering of limestone and dolomite in southern West Virginia. These ores were mined during World War II when imports of manganese ores from outside of the United States were not possible. Some manganese minerals and mineraloids are considered “primary ores,” because they are rich enough in manganese to be of ore grade. Others are “secondary ores.” These occur in zones where the original manganese content of the sediments has been naturally enriched by younger geologic processes. An additional potential source of manganese is the ferromanganese nodules and crusts that occur on the seafloor in many parts of the world’s oceans. These bean- to potato-sized nodules are currently the target of exploration and research, mostly focused on the equatorial Pacific Ocean. If production of these nodules proves technically, economically, and legally viable, they could become a major source of manganese. Some researchers speculate that plots of seafloor could be harvested, left fallow, then harvested again decades into the future. Parts of the world's seafloor might produce a sustainable yield of ferromanganese ore. 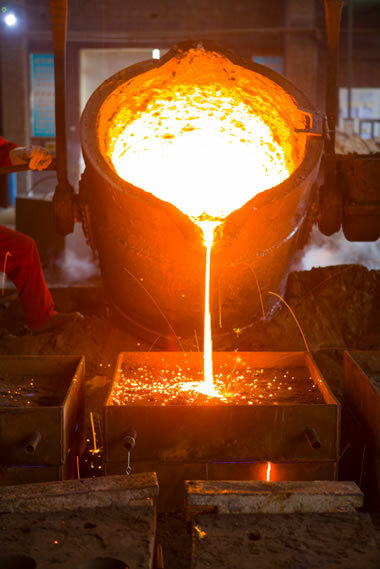 Although there are manganese ferroalloy and manganese chemical producers in the United States, the country still imports large amounts of manganese alloys, chemicals, and metal to meet its consumption needs. Important amounts of ferromanganese imports are from South Africa, China, Ukraine, and the Republic of Korea. Silicomanganese is imported from South Africa, Georgia, Norway, and Australia. Demand for manganese historically closely follows steel production and is expected to do so in the future. 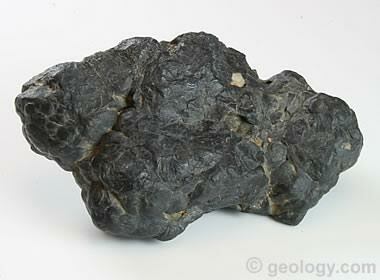 Manganese Ore: Siliceous manganese ore formed as a breccia within the St. Clair Fault of southern West Virginia. These ores were mined during World War II when imports of manganese ores from outside of the United States were not possible. Known deposits of manganese in the United States are small and contain low-quality ore. They are not economic at current prices. Although the total reserves of the world are adequate to meet foreseeable demand, there has long been a concern in the United States, because of its total import reliance for manganese ore, for a continued manganese supply in light of possible political or military disruptions of production or supply chains. Although there are large resources of manganese-enriched rock in the United States, mostly in Maine and Minnesota, their manganese content is substantially below manganese ores readily available from other parts of the world, so they are presently uneconomic to mine. Globally, there is no shortage of manganese ore. Land-based manganese deposits are dominated by the great Kalahari manganese district of South Africa, which accounts for roughly 70 percent of known manganese resources of the world (reserves plus identified material that has yet to be fully proven to be economic). As a result, South Africa is expected to continue to play a dominant role in global manganese supply well into the future. 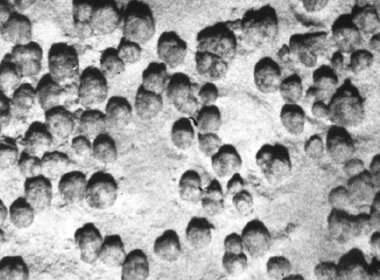 Seafloor Manganese Nodules: Photograph of iron-manganese nodules on the seafloor north of the Puerto Rico Trench. 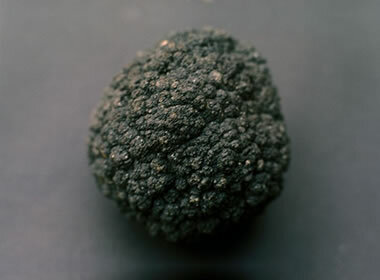 Nodules are about 2-4 centimeters in diameter. Water depth is 5339 meters. United States Geological Survey image. Should deep seabed mining become economic, the sources of manganese ore could significantly shift from land to ocean. The estimated manganese nodule resource dwarfs land-based resources and could greatly diversify worldwide manganese sources. Much of the resource is in international waters. Substantial seabed manganese resources also occur within the U.S. Exclusive Economic Zone and are entirely under United States jurisdiction.